We asked families about their experiences of shared parenting. Find out what the have to say and what advice they have for those considering shared parenting. All names and identifying details have been changed to protect the privacy of individuals. All stories are from parents who have raised or are raising children with shared parenting arrangements. Charlie shares parenting with his ex-partner for his two children. Ruth has been sharing parenting for her three child for about two years. Sam uses shared parenting to look after his three kids. Jack has two children and has been sharing parenting for around three years. Andrew has been sharing parenting for his son for over 15 years. 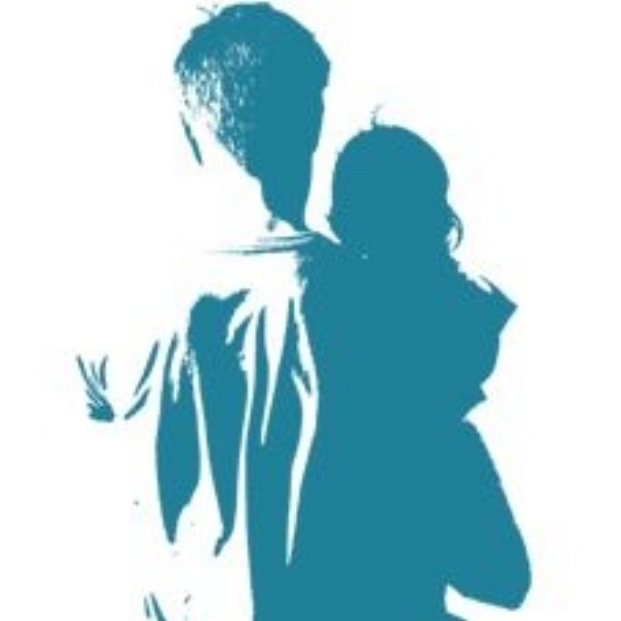 We are looking for stories from grown-up children who have lived in shared parenting families. If you would like to share your story with us, we would love to year from you! How did you reach your shared parenting arrangements? We didn’t agree on how to do parenting at first, my partner was hoping to get sole custody so I ended up getting a solicitor involved. But we managed to come to a voluntary agreement eventually. What are the practicalities of your arrangements? We have almost entirely 50/50 parenting; we split the week in half so we change on Sundays and Wednesdays. What arrangements did you make in relation to holidays and special days (such as birthdays, Christmas, religious holidays)? We make it so that we swap Christmas and New Years every year. So one year the children will be with me for Christmas and the next year at New Years. How far is it between your house and your ex-partner's house? About a mile or so. 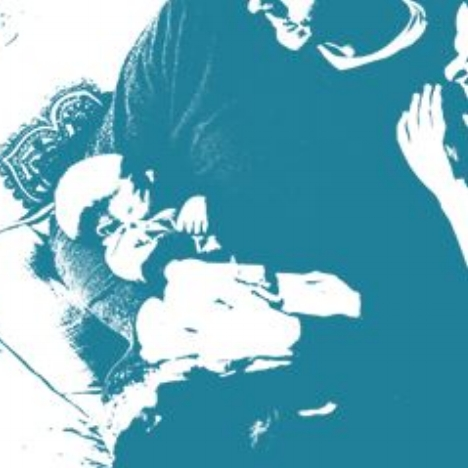 "It was important for us as parents to remember that the flexibility of shared parenting was useful for both us and hostility just made that more difficult." How will arrangements alter as the children grew up? I think the main thing for the future will be to allow them more flexibility to choose their own arrangements as they get older. It’s really important that children are always asked about their own wishes. If you have a new partner, how does your shared parenting affect them? There was some hostility to my new partner at first which made things quite difficult but things have improved. It was important for us as parents to remember that the flexibility of shared parenting was useful for both us and hostility just made that more difficult. Would you recommend shared parenting as a policy objective of the Scottish Government? Yes, I think it’s better for children and better for parents. I think times are changing and we should expect both fathers and mothers to be involved in bringing up children, especially if they have the flexibility at work to do so. Without the flexibility of being able to choose when I work, I think it would have been really hard to share parenting. What advice and recommendation would you give to other separating families who are considering using shared parenting? I would say the most important thing is to be able to swallow the hurt and anger when a relationship fails, which can be really difficult. It’s important to focus on what is best for the children. Accepting compromise and learning to clearly communicate is also important. "I think times are changing and we should expect both fathers and mothers to be involved in bringing up children, especially if they have the flexibility at work to do so." How has shared parenting affected the relationship between you and your children? I think my relationship has improved with my children, we seem to be closer. It’s easier for us to have more quality time together because they can focus on one parent and I can put all my attention on them when they are here. It’s can be a bit easier putting all your energy into having a close relationship when you also have time off. We’re more likely to spend our time playing a board game or something like that now. The down side of that is that they are maybe a bit more spoilt; they expect you to be able to put 100% attention on them all the time. They also get two holidays and two sets of presents at Christmas. Do you feel shared-parenting allows your children to feel connected to both their parents? Yes, I would imagine it allows them to feel closer to both of us. Do you feel shared parenting changed the amount of support and encouragement your children receives from each of you? Yes, it has allowed me to put more effort into parenting and I have more appreciation for them now. The arrangement has made me go the extra mile. I was in a damaging relationship before and I’m a lot happier now, which is also a lot better for my children. Do you think it helped to diminish conflict/increase communication between you? I would say we do have better communication. I also would say that my children have a bit more respect for my authority as a parent now. How do you feel the environment of two homes affects the activities/hobbies your child is involved in? My children have always been busy with a lot of activities, maybe two or three a week. Me and my ex-partner share the costs between us which makes that easier. "It’s easier for us to have more quality time together because they can focus on one parent and I can put all my attention on them when they are here." Do you think shared parenting influenced your child’s social skills and friendships? There doesn’t seem to have been many differences. How has shared parenting affected your child’s independence and autonomy – feeling good about him/herself? My children seem pretty happy and fulfilled. They seem a lot closer to each other and more reliant on each other now. I haven’t noticed any other changes. Do you feel shared parenting influenced your child’s education or school life? They both are performing really well at school, hard to say how things would have been if the arrangement had been different. I think it’s really helped that that they’ve been able to stay close to their school, so there’s been continuity. How did you reach your shared parenting arrangements? I think for us it was never going to be anything else than a shared parenting arrangement. I’m from Sweden where it is the norm so I couldn’t really imagine doing it a different way. So we managed to agree things between ourselves. "I think for us it was never going to be anything else than a shared parenting arrangement." When did you reach your agreements? When we first separated, I moved out to a small flat so I didn’t have the room to have the children in my place as often as 50/50 split. They would stay with me at weekends and I would also I would come round to the family house after school too. After two months I was able to move somewhere bigger and from that point on we could get settled into a shared arrangement. What are the practicalities of your arrangements? We decided they were too young to do a full week with one of us and then switch so we change twice a week. I pick them up from school on a Wednesday and they stay with me until Saturday afternoon or evening. But I also see them at other times during the week because my ex-partner works full time. So for example, I will pick them up from school on a Monday and take them to the family house and be with them until their Dad gets back from work. I’m able to work part time to accommodate seeing the children which helps a lot. It’s a bit of an unusual arrangement but it works for us. What arrangements did you make in relation to holidays and special days (such as birthdays, Christmas, religious holidays)? We quite often do full weeks during the holiday so things change a bit then. On birthdays we do it all together, me and my ex-partner and all the children will always go out for a meal and the child whose birthday it is gets to choose where we eat. On Christmas, we also will spend time with all of us together. On Christmas morning, all five of us will have breakfast and presents and then I will take them to church. In the afternoon their Dad will take them to Glasgow to see his family and then I see them again on Boxing Day. "On birthdays we do it all together, me and my ex-partner and all the children will always go out for a meal..."
How far is it between your house and your ex-partner's house? About a mile, it’s walking distance which makes thing a lot easier. They can walk to school from both houses. Things can often get forgotten at one house or the other so you need to be willing to go and pick something up too. We use a box which the children put their stuff in when they are moving between houses but things do get forgotten. Are your arrangements flexible and adaptable to changes in your child’s life? You need to be flexible but it’s also important not to change things too much. It’s important that the children can have a sense of routine and that they always should know exactly what is going on. How will arrangements alter as the children grew up? I assume things will change as they get older. They will have more choice to come and go as they want to when they’re a bit more mature. If you have a new partner, how does your shared parenting affect them? My two youngest children have met my new partner who I have been with for quite some time. My eldest child is a little more reluctant. He also has children for another relationship, which he doesn’t get to see as much as he would like unfortunately. But when he sees them they will quite often stay one night with me. What was the reaction of family/friends/neighbours to your arrangements? Coming for a Swedish background I don’t think family were so surprised about the arrangement. Although people do comment that we are very good at communicating and putting the children first. Would you recommend shared parenting as a policy objective of the Scottish Government? Yes I would. The current system seems to assume that there is only one primary carer, quite often the mother. So the father can end up in a situation where he has to fight to be involved with his children. I can’t see why 50/50 care can’t be the default that families start with. Obviously it’s not going to work in every case, but I think it should be the starting point. What advice and recommendation would you give to other separating families who are considering using shared parenting? You need to be able to communicate well with your ex-partner and if you aren’t able to do that you have to get help (from something like mediation). At the end of the day, you’re probably going to be making daily contact with them. It’s also important to be flexible with the other parent’s needs; you need to be willing to help each other. The other important aspect is planning and organisation, it takes a lot of effort to get it right. Another big thing which I think can cause a lot of conflict is the financial aspect. For us we have a shared account which we each put money into for any costs to do with the children. You need to make sure you have agreed on a system. How has shared parenting affected the relationship between you and your children? I think long term it hasn’t changed much but it did make things more difficult for a while. I think it was tougher to stay close to my eldest, especially because he was going through adolescence. It’s hard to say how much the parenting arrangement that influences these things and how much is a just child growing up. Do you feel shared parenting allows your children to feel connected to both their parents? I would say that the new arrangement has let them have a closer relationship with their Dad. I was always the one who knew what was going at school etc. but now he takes a more active, nurturing role. Do you feel shared parenting changed the amount of support and encouragement your children receives from each of you? Not at all, shared parenting forces you to communicate a lot which is great. I would say as a parent you are aware that things might slip through the net when sharing parenting, so you become hyper vigilant. "You need to be flexible but it’s also important not to change things too much. It’s important that the children can have a sense of routine and they always should know exactly what is going on." How do you feel the environment of two homes affects the activities/hobbies your child is involved in? I think maybe for my youngest, he hasn’t been as involved with things as my other two when they were his age, but it’s hard to say if that is because of the arrangement we have. I’m hoping to encourage him to take up the drums over the summer because I know that’s something he’s wanted to do. I would say generally they have the same amount of commitment to the activities they are involved in. Do you think shared parenting influenced your child’s social skills and friendships? No not really, they seem to see their friends just as much as they did before. How has shared parenting affected your child’s independence and autonomy – feeling good about him/herself? Possibly my daughter has become more independent and I think my son was perhaps prematurely expected to spend time on their own. But again, it’s hard to say how things would have been different. Do you feel shared parenting influenced your child’s education or school life? My eldest has struggled a bit this year in school and we were a bit shocked when we saw his report card. It’s possible that if we were still together we would have noticed this sooner but now that we have we are both working hard to make sure he can do well. Are there any other outcomes to shared parenting that you have seen which we haven’t discussed yet? I think my children have become hyper aware of the dynamics between myself and my ex-partner. My daughter really struggled at first to understand how we could still spend time together on birthdays and have a laugh. I think it was confusing for them, it made them think that we might have changed our minds about the divorce. But I think that’s something they understand better now. "Another big thing which I think can cause a lot of conflict is the financial aspect. For us we have a shared account which we each put money into for any costs to do with the children. You need to make sure you have agreed on a system." How did you reach your shared parenting arrangements? We agreed betweebn ourselves and then a solicitor made it official with a letter. When did you reach your agreements? Within about year of separating. "I normally go to see them at their mum’s on birthdays. We now do Christmas together as well." What are the practicalities of your arrangements? I have the kids Monday and Wednesday for two hours and they stay every second weekend from Friday evening until Sunday evening. Over the holidays I keep them extra weekends and days. What arrangements did you make in relation to holidays and special days (such as birthdays, Christmas, religious holidays)? Over the holidays I keep them extra weekends and days. I normally go to see them at their mum’s on birthdays. We now do Christmas together as well. How far is it between your house and your ex-partner's house? Approximately 2-3 miles. Were/are your arrangements flexible and adaptable to changes in your child’s life? Very flexible. How were arrangements altered as the children grew up? Arrangements have remained the same except we do Christmas together. "...remember that the most important thing is the kids and their happiness. Put your own difference aside and work as a team." Would you recommend shared parenting as a policy objective of the Scottish Government? Yes because every parent should have involvement in their kids life. It’s time for the Neanderthal idea that kids only need their mums has to be put to bed. I’m a firm believer that dads are just as important as mums. No question! What advice and recommendation would you give to other separating families who are considering using shared parenting? Do it between yourselves. Agree on things and remember that the most important thing is the kids and their happiness. Put your own difference aside and work as a team. How has shared parenting affected the relationship between you and your children? I believe I do more with the kids now than I did when I was with their mum which in turn makes me feel like a better dad. Do you feel shared parenting allows your children to feel connected to both their parents? Yes. Do you feel shared parenting changed the amount of support and encouragement your children receives from each of you? Not at all. Do you think it helped to diminish conflict/increase communication between you? Without a shadow of a doubt. The fact we work together as parents is a huge plus. How do you feel the environment of two homes affects the activities/hobbies your child is involved in? It doesn’t. My kids still do hobbies etc. If it’s my weekend then due to me not being allowed to drive for medical reasons their mum will pick them up and drop them back to me once clubs finished. "I believe I do more with the kids now than I did when I was with their mum, which in turn makes me feel like a better dad." Do you think shared parenting influenced your child’s social skills and friendships? No. How has shared parenting affected your child’s independence and autonomy – feeling good about him/herself? I don’t think it is any different from whether we were a couple or not. Do you feel shared parenting influenced your child’s education or school life? If it has then it’s only for the better as my kids are receiving glowing reports and great results at school. Separation is often reported to have adverse effects on children – they can feel torn between parents, they are more likely to manifest stress and adverse life experiences. How far in your own case do you think sharing parenting influenced these effects for your children? I don’t agree with this, in fact shared parenting can have the opposite effect. My kids have been relieved to come and stay at mines when their mum has been on their case and in a mood. It gives them a break from it and vice versa when I’m on their case then they go home. What are/were the practicalities of your arrangements? We ended with a formal Minute of Agreement where I have the children from Saturday evening through to Monday evening and then also Thursday after school as well. What arrangements did you make in relation to holidays and special days (such as birthdays, Christmas, religious holidays)? We split the holidays in half with the exception of the summer where I see them for three weeks and my ex-partner sees them for the rest. Other significant dates such as Christmas are alternated. I also make sure that for significant birthdays of a parent and mother’s/father’s day, the children are with the relevant parent. "I expect things to change as they grow up, I hope they are allowed more responsibility from both parents to make decisions. I try to involve them in as much decision making as is practical." How far is it between your house and your ex-partner's house? Not far at all, about 30 minute walk or a 5 minute drive. How will arrangements be altered as the children grow up? I expect things to change as they grow up, I hope they are allowed more responsibility from both parents to make decisions. I try to involve them in as much decision making as is practical. What was the reaction of family/friends/neighbours to your arrangements? Generally there seems to have been very good reactions from people but I still find it mind blowing that people are surprised when a dad is intent on staying involved in his children’s life. There are quite often comments about how I would manage it with work, suggesting that mothers don’t have that problem! There seems to be an assumption that work will come first for men, there seems to be a clear inequality in perceptions there. Would you recommend shared parenting as a policy objective of the Scottish Government? Absolutely, I think we should be taking the approach where shared parenting is the accepted norm, unless there is a reason for it not to be. So rather than arguing for it in every individual case, we should be assuming it in all cases and arguing against it in individual cases. "The best support, foundation and opportunities you can give your kids comes from having the broadest range of perspectives in their lives ... all of their relationships with their significant adults need to be maintained. " What advice and recommendation would you give to other separating families who are considering using shared parenting? The best support, foundation and opportunities you can give your kids comes from having the broadest range of perspectives in their lives, and that means that all of their relationships with their significant adults need to be maintained. As soon as you cut them out you are cutting out opportunities and therefore acting against the best interests of the kids. Even if you don’t have a very good relationship with your ex you can still make it work, but you definitely have to be civil and respectful in in your communication. You need to remember that you’re setting an example to your children in the way you communicate with your ex. How has shared parenting affected the relationship between you and your children? I think it has quite fundamentally changed it, in an extremely positive way. My relationship with my ex-partner was quite abusive and put me in a position where I wasn’t able to have any meaningful relationship with the children, despite living in the same house as them. Shared parenting for me has completely changed how I’m able to interact with my kids. I can now have a far more normal relationship which is both supportive and structured. When we are together we have the opportunity to be 100% present with each other. "Especially for my youngest, the new arrangement has allowed him to develop much more confidence. He’s managed to pull away from a need to be permanently attached, which I think is really healthy." Do you feel shared parenting allows your children to feel connected to both their parents? I don’t feel the arrangement has diminished how much support and involvement my children’s mother has been able to give to the children. I’m not sure if she would agree though, I think it is difficult for her because she doesn’t always feel in control. I don’t think it should be about competition, the children have the right to attention from both of us. She is a great mum to them but now they also get a fully involved dad. How do you feel the environment of two homes affects the activities/hobbies your child is involved in? I think it definitely has, they are able to do a lot more things now such as ride bikes and go swimming. Do you think shared parenting influenced your child’s social skills and friendships? I don’t think it has changed who they socialise with but the confidence that my youngest child has gained has definitely allowed him to interact with his friends better. How has shared parenting affected your child’s independence and autonomy – feeling good about him/herself? Especially for my youngest, the new arrangement has allowed him to develop much more confidence. He’s managed to pull away from a need to be permanently attached, which I think is really healthy. "It’s been important to be checking back in with them to see if there’s anything that’s troubling them which we could change ... it stops them simply feeling like passengers in this." Do you feel shared parenting influenced your child’s education or school life? This was something that I was quite concerned about so I discussed it a lot with the school. I’ve managed to keep really good communication with them so the teachers have made an extra effort to check how the children were doing emotionally as well. They’ve said they haven’t seen any ill effect, nothing that gave them cause for concern. Are there any other outcomes to shared parenting that you have seen which we haven’t discussed yet? It’s been really important that they have the chance to give their input into the arrangements. It’s been important to be checking back in with them to see if there’s anything that’s troubling them which we could change and because of that they feel really involved. Especially with my eldest, he is aware that he can have a very strong voice in decisions – it stops them simply feeling like passengers in this. "The best support, foundation and opportunities you can give your kids comes from having the broadest range of perspectives in their lives, and that means that all of their relationships with their significant adults need to be maintained. " How did you reach your shared parenting arrangements? It was a pretty long process. A combination of mediation and solicitors was needed over several years to come to an agreement. In the end we used a Minute of Agreement to come to our arrangement. What are/were the practicalities of your arrangements? Our split was exactly 50/50, I felt it was important for my son to continue having a relationship with both of his parents. We also split school holidays in half. It was also decided that it would give my son the most stability and security if I was responsible for paying for nursey and school expenses. What arrangements did you make in relation to holidays and special days (such as birthdays, Christmas, religious holidays)? At Christmas, he would spend Christmas Eve with one of us and Christmas Day with the other. We also did the same for Hogmanay. On my son's birthday if my son was not staying with me, I'd see him for two hours, similarly for his mum. How far is it between your house and your ex-partner's house? For most of the time we only lived about a mile or so away but later I moved further away (about 30 minutes on the train), which made things a bit trickier. Were/are your arrangements flexible and adaptable to changes in your child’s life? Yes but we tended to find that it was easier and caused less friction if we stuck to the schedule wherever possible. "I felt it was important for my son to continue having a relationship with both of his parents." How were arrangements altered as the children grew up? It got easier to give him the freedom to make his own decisions about where to be. I didn’t feel like I needed to protect him anymore. Would you recommend shared parenting as a policy objective of the Scottish Government? Yes, I would say that everyone should have the opportunity to be as involved in the child’s life as possible, but it’s not for everybody. Parents need to be able to adapt: you need to have a flexible work environment and have the right priorities to be able to focus on the child. I feel it was the right choice for my son. It seems that fathers are being sidelined at the moment and I would like to see that changed. What advice and recommendation would you give to other separating families who are considering using shared parenting? Both parents need to be able to focus on the child. You also need to accept that it’s not going to be perfect I would also say that if there is disagreement, you need to have a serious commitment to mediation. How has shared parenting affected the relationship between you and your children? Although it was difficult at first, it made it easier to support him. I could help with things like checking his homework and I felt I was there for him if he ever needed me. It’s not a simple solution but at the time we were one of the only families to achieve 50/50 care. Hearing other people’s stories made me realise how lucky I was. How do you feel the environment of two homes affects the activities/hobbies your child is involved in? I would say it did create some inconsistencies in the kind of things that he could get involved in – especially when I moved further away. It was difficult to attend things like scouts which happened every week. "[School performance] is an area I was aware was a risk for children of separated couples. So I was proactive in supporting my son. He worked really hard and got excellent grades... So with the right support you can help kids beat the odds!" Do you think shared parenting influenced your child’s social skills and friendships? On the whole I think there was a lot of continuity in his social life, it was really important to me that my son would be able to stay in the same friendship groups which I think worked really well. How has shared parenting affected your child’s independence and autonomy – feeling good about him/herself? I think separation can be very hard on a child. He seemed to become less chatty and outgoing which at times made communication between us much more difficult. Do you feel shared parenting influenced your child’s education or school life? This is an area I was aware was a risk for children of separated couples. So I was proactive in supporting my son. He worked really hard and got excellent grades, he has just completed his first year at university. So with the right support you can help kids beat the odds! "Both parents need to be able to focus on the child. You also need to accept that it’s not going to be perfect"